Hello. 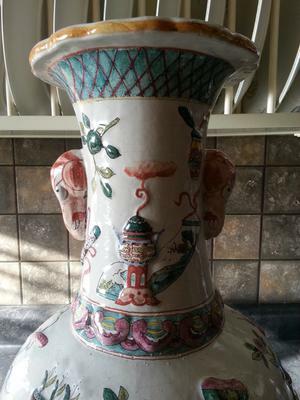 I purchased this vase online and the description was "antique Chinese vase". It is very large and weighs approx. 20 lbs. It is unmarked. 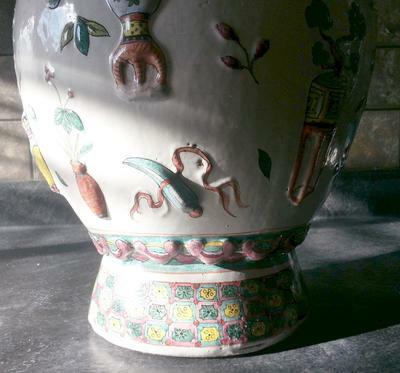 I was hoping to gain some information on its age, style and perhaps value range. Your help is greatly appreciated. Thanks for the additional picture. 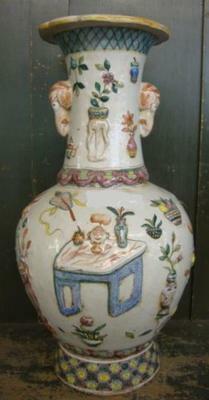 Shape of vase, bottom, colors, and decoration style give the impression that it is second half of 20th century. Perhaps vintage... not antique. My personal opinion. 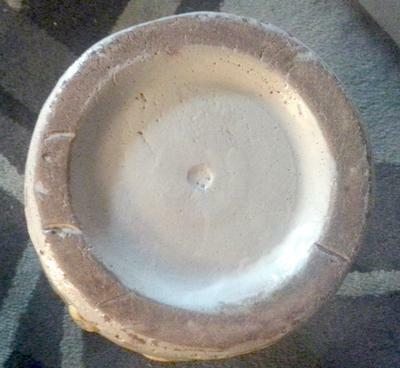 I have included a picture of the base.